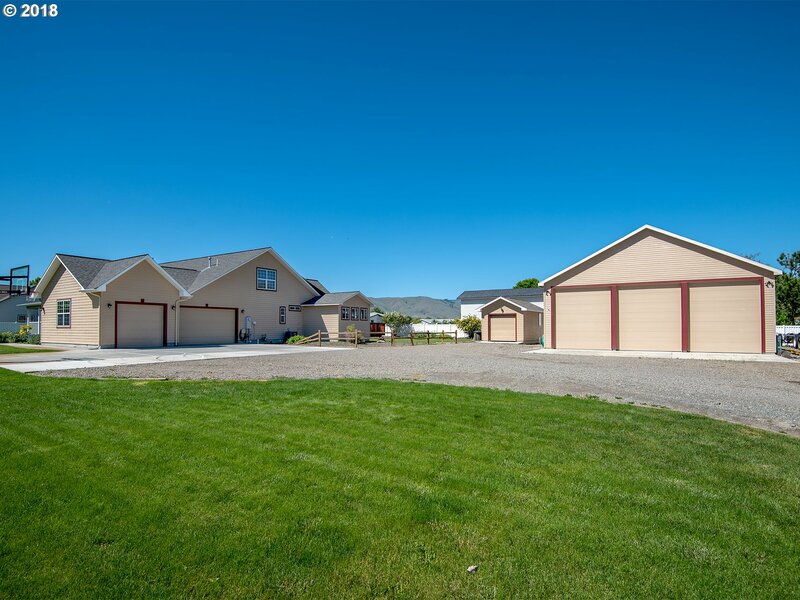 All Baker City homes currently listed for sale in Baker City as of 04/26/2019 are shown below. You can change the search criteria at any time by pressing the 'Change Search' button below. 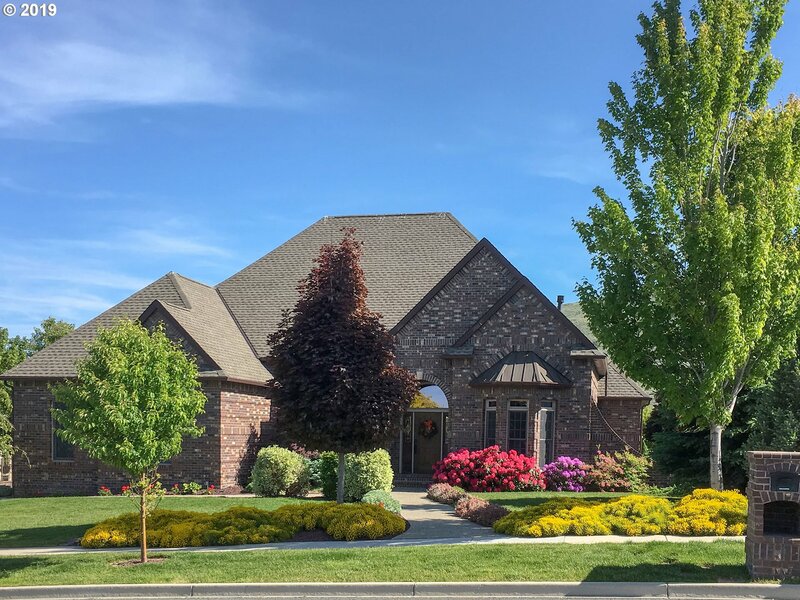 If you have any questions or you would like more information about any Baker City homes for sale or other Baker City real estate, please contact us and one of our knowledgeable Baker City REALTORS® would be pleased to assist you. 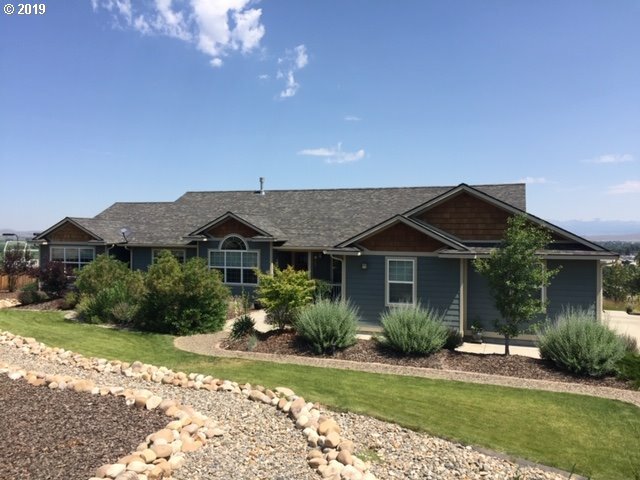 "A must see immaculate 4 bed, 2 bath house on 262+/- acres with incredible views of the Eagle Caps, 1+/- mile of Powder River flowing through the property and a 2.5+/- acre pond stocked with bass! A tasteful remodel with high quality features was recently completed. Bordering thousands of acres of BLM in the Lookout Mountain Unit the recreation possibilities never end. 4 bay shop with enclosed workshop, living quarters, and dog kennels." "Stunning custom brick home on golf course. Many upgrades and highlights throughout. Beautiful gourmet kitchen, separate office plus 3 bedrooms and 2.5 bathrooms. Outside living space with water feature, brick cart house and access to golf course. Cost to build exceeded $750,000. Great value!" 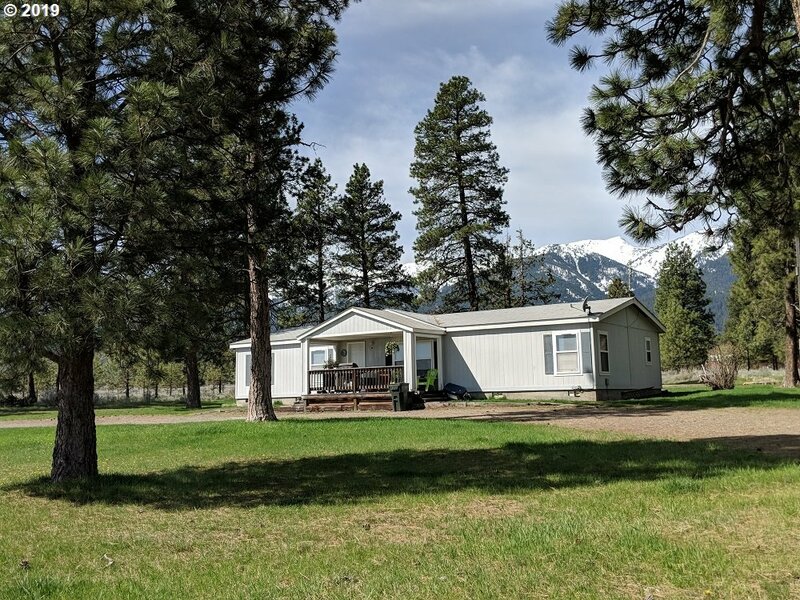 "Large private ranch with mountain views, pond, year-round creek, and an inviting country home. The partially fenced land features rolling hills, which would be suitable for pasture or dry-land farming. The property also contains two enclosed outbuildings, a woodshed, and a corral which is ideal for horses or livestock. The interior of the home features a wood burning stove, and an updated bathroom with a claw foot tub." "Beautiful home on 30 acres m/l. Main floor has living room, dining room, kitchen, office, bedroom, bathroom. Upstairs has another family room, bedroom, bathroom. Large family room, work shop room in the basement along with a storage room, laundry room & bathroom. Cadet electric heaters in the kitchen, each bedroom. Electric baseboard heaters in each bathroom. Horse shelter with water and power to it. Unbelievable views galore!" "Breathtaking custom home that fits a family of all sizes!! The home features interior space with open concept living room/kitchen, separate family room upstairs, 4 bed 2.5 baths. Master Suite has separate sitting room and private deck. Outside features Cedar hand crafted back deck with hot tub, attached garage, custom 3 bay shop that is 42'x42'x15' m/l with bays large enough for a semi-truck!! All this on a private setting on 1+ acre." 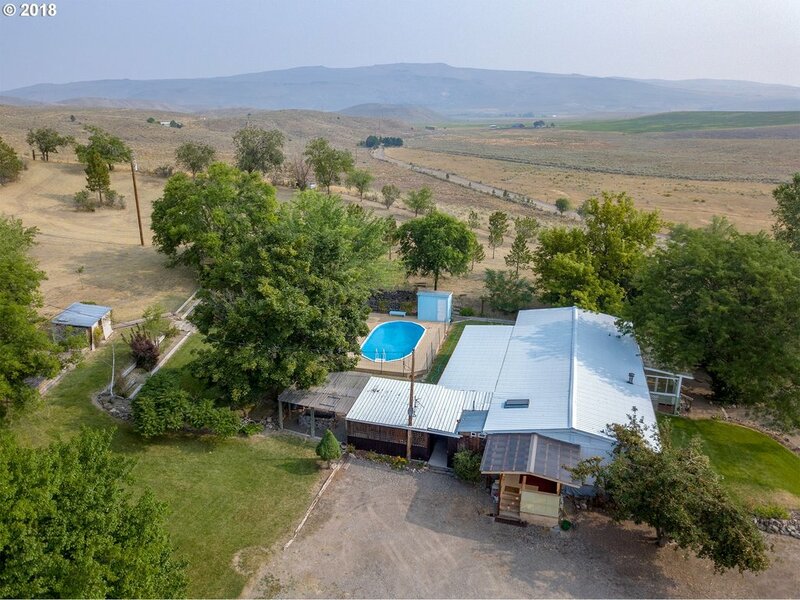 "Incredible views of Baker and the Valley from this 3 bedroom 3 bath home with separate guest home, built-in pool, pool house and gazebo,atrium, 2 fireplaces. Each bedroom has own bath! on 1.5 acres near golf course. Tastefully redone while maintaining original integrity. 4200 sq. ft. plus guest home. Truly a special setting and location!" "Beautiful historic Victorian home, rebuilt to perfection with many updates. Complete rebuild with new electrical, plumbing, etc. Beautiful hardwood floors and woodwork throughout. High quality craftsmanship throughout." 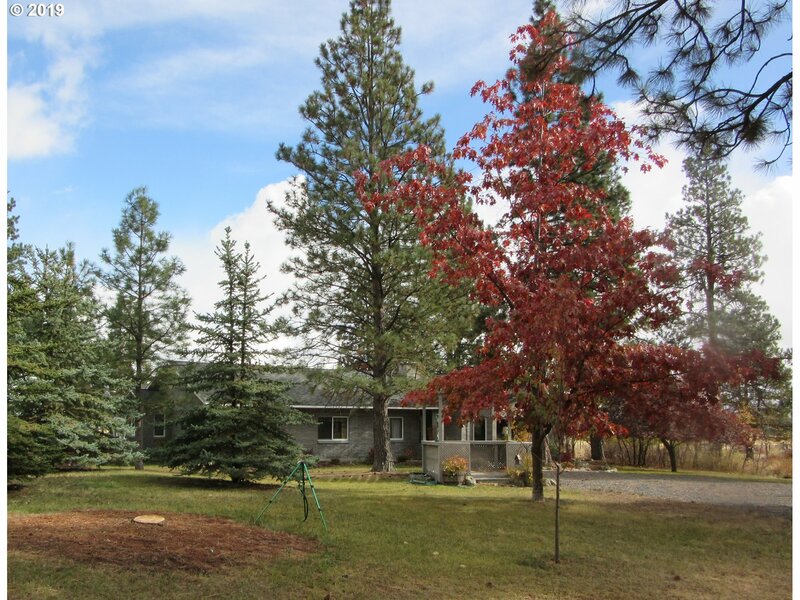 "Very nice updated home on acreage with beautiful mountain views. 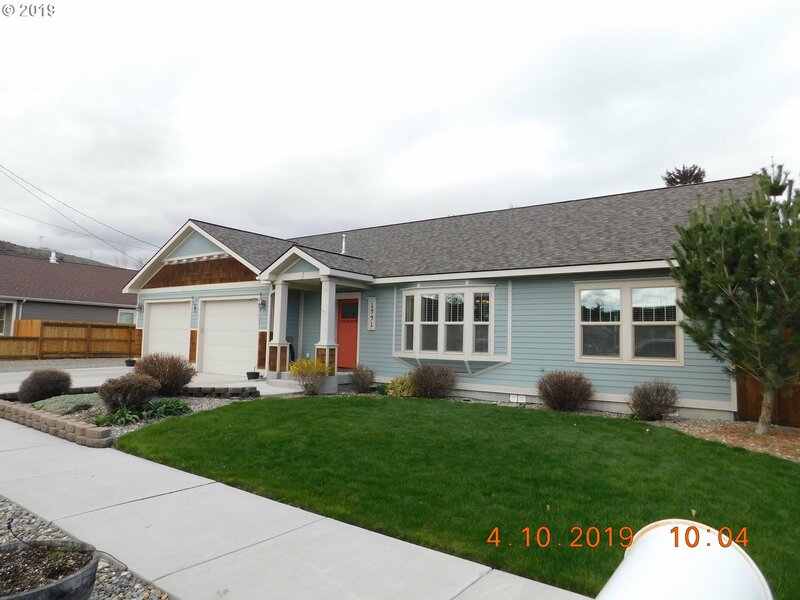 This home has 4 beds, 2 baths with Corian counter tops, new carpeting throughout, attic insulated to R49, new instant hot water heater, new well pump and pipe. There is an attached 2 car garage, 36'x'48' shop with new concrete floor, fully insulated with 2 new insulated overhead doors, new fencing, pastures reseeded, sprinkler system, chicken coop & fully fenced garden." "Beautiful custom home on the rim with the most spectacular views of Baker City & surrounding mountains.This spacious home features 4 bdrms,3.5 baths,plus guest qtrs,tile & Hickory floors,stainless steel appliances & granite counter tops.It has a wonderful outside deck for entertaining or just relaxing.Fenced garden area with raised beds.Lots of storage with a triple car garage,RV parking & paved driveway.Located near the golf course." "Historical beauty near downtown. Beautiful woodwork throughout and so much potential. Over sized lot, patio, garage and potential living quarters above the garage." "Rare find competitively priced. 568 acres m/l with excellent improvements. Land is pasture/range ground, no water rights. Secluded home site with manufactured home plus 2 other dwelling sites with well and septic. Outbuildings, barn, entertainment area with pool and orchard." "Do you want a view? A world class mountain view? This is it! One of the Baker Valley's newer custom homes, on acreage, fenced and move in ready! A great design for four season living. Room for the horses! Spend time outdoors in the summer months as well as nestle in to enjoy the snow falling on a winter's day!" 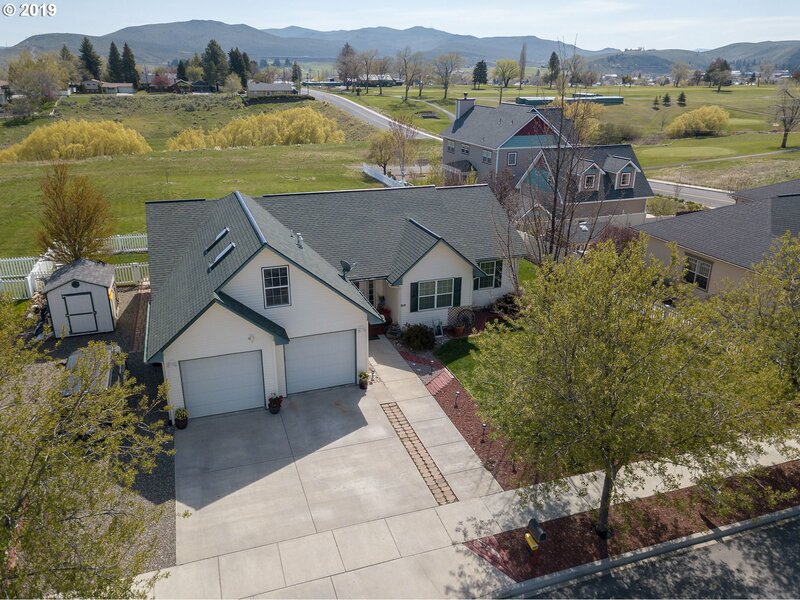 "Beautiful open concept timber framed home located on 6.15 wooded acres within 15 minutes of downtown Baker City. This home features 4 bedrooms, 3 baths, family room with vaulted ceilings, living room which opens onto a spacious deck, detached two car garage with shop space & studio space above. The property boasts a stable & corral with automatic water and is fenced/cross fenced for horses and other animals. A hidden gem & must see!!!" "Amazing family home located on 5 acres in beautiful Baker Valley. This split-level home boasts 5 bedrooms & 3 baths, along with living & family rooms and plenty of outdoor entertainment space. The property features a detached insulted shop/garage, hay shed, chicken coop & various mature fruit trees located around the manicured, fenced yard. 100ft deep irrigation well with 3hp pump & handlines are included to water the pasture acreage." "Beautiful 2000 sq ft +/-, 3 bedroom, 2 bath home, situated on 5 acres +/-. The property includes a 24'x24' +/- horse barn and a 24'x24' animal barn +/- and a 24'x32' +/- shop-garage combo with carport wings on both sides. Great flower gardens and room for a vegetable garden. 4 frost free water faucets. Hundreds of miles of snowmobile and ATV trails are just outside the door. Call today to set up a showing." "Beautiful views & a pond highlight this custom 2 story home. 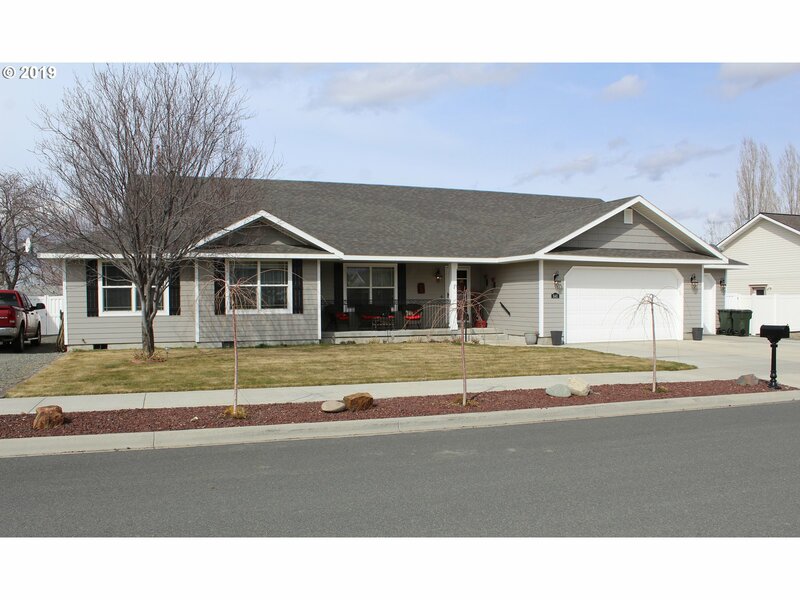 Home features 3 bed/ 2.5 bath with interior updates to paint, floors. Outside has a large wraparound pond with private dock panoramic views of Baker Valley. All this within 5 minutes of the City of Baker." 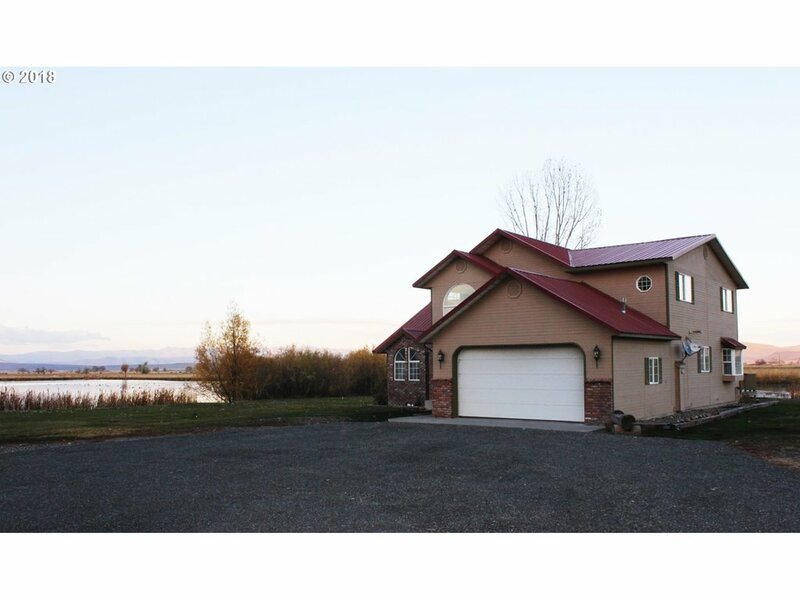 "Custom Built Home with approximately 4646 sq ft on .89 acres. The property is zoned General Commercial & has beautiful mountain views. It features 4 bedrooms and 2 1/2 baths, an open floor plan, a beautiful kitchen dining area with a separate canning kitchen & a large basement with additional bonus rooms. The property is fenced, has a detached garage/shop and room for RV parking. 5 acres adjoining maybe purchased with home for $440,000." 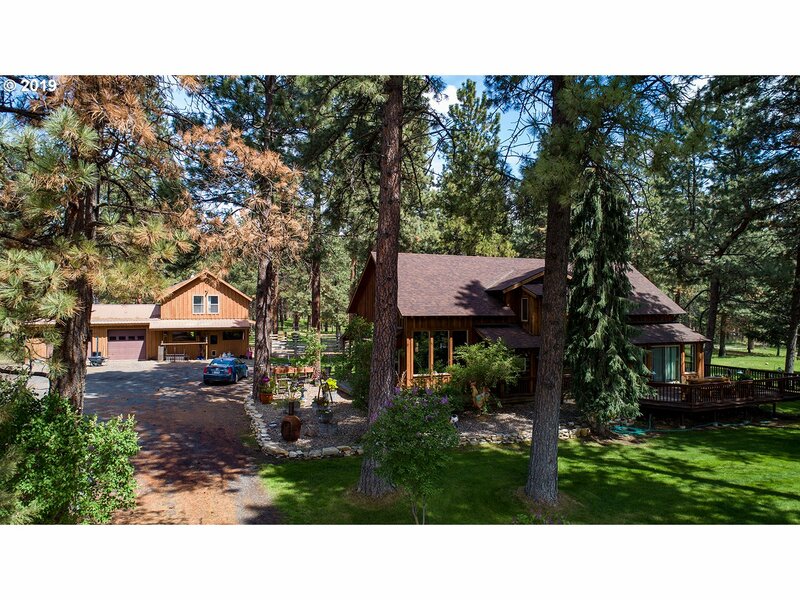 "This home is a true log home with all the amenities of modern day living. Lovely 2 bedroom 2 bath home, separate office space with a view. 13 acres to enjoy and spread out, includes 16x40 shop, 10x12 garden shed, 8x10 pump house and greenhouse. Shop is insulated, wired and includes work benches. The property is three separate dividable parcels, a portion of old historic Stices Gulch Consolidated Placer Mining Claim. Year round creek." "Location and views! Custom home near the golf course with 4 bedrooms and 2 1/2 bathrooms. Nice covered deck with unobstructed mountain views and extra lot in the back. Attached double car garage and fully fenced backyard." "This beautiful home features 3 bedrooms, 2.5 baths 2262 sq ft. m/l, formal living & dining room.New fiber cement board on the exterior of the home, newer floor coverings on the inside. The home is located in a much desired neighborhood, triple car garage,over sized lot that allows plenty of elbow room and space for all your toys. Must see to appreciate all this home has to offer." "Views all around! This well maintained manufactured home features a spacious, open floor plan with living room & family room, 3 bedrooms and 2 bathrooms. Property is adorned with beautiful pine trees, a seasonal creek, a charming old building, and is a quick drive to town. Enjoy views from your front porch AND back deck!" "Immaculate 3 bedroom 2 1/2 bath home looking for the perfect buyer. This beautiful home has hardwood floors, vaulted ceilings in the living room, tile counter tops, large laundry room, spacious pantry, stainless steel appliances and lots more! The backyard is perfect for entertaining your guests with the outdoor bar area and perfectly groomed landscaped yard. RV parking and hookup next to house. Don't miss this one!" 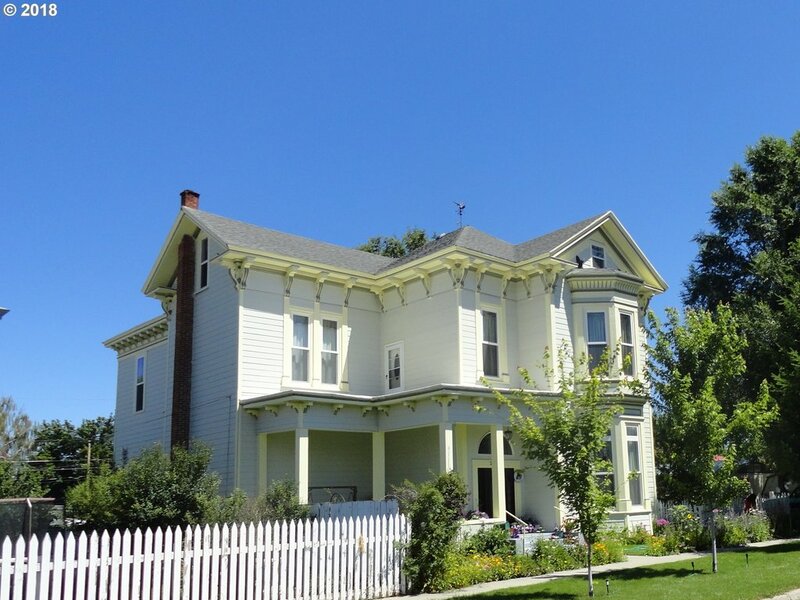 "The historic James Virtue House; fully restored and updated throughout.This elegant 1882 Victorian has it all!New wiring, new plumbing, new windows & insulation.Features grand staircase,13.5' ceilings,parlor w/pocket doors,and much more.Three floors, 5 bedrooms, 4 bathrooms, with 5 bedrooms or bonus rooms w/ closets on third floor. Fenced double lot with detached newer shop/garage.Ready for your large family or live-work imagination!"